First up for today is a retracement play on EUR/USD. The pair is currently testing the 1.1200 handle, which is right smack at a rising channel resistance on the 1-hour time frame. 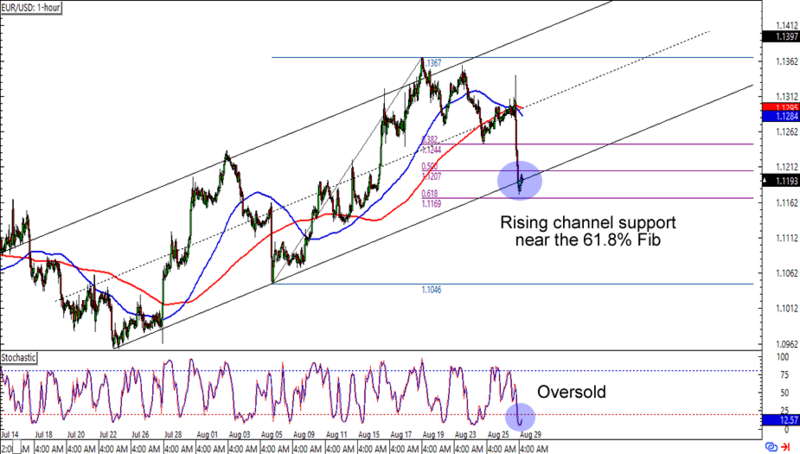 What’s more, it also lines up with a 61.8% Fib retracement on the chart. The cherry on top of the sweet uptrend setup is an oversold stochastic signal. Placing stops just below the channel could get you a sweet reward-to-risk ratio especially if you aim for the channel resistance. Just make sure you practice good risk management! Retest alert! USD/CAD looks like it’s headed for the 1.3100 levels, which lines up with a previous support trend line on the 4-hour time frame. Take note though, that the 200 SMA is already keeping a lid on the bulls’ run and stochastic has hit the overbought territory, so the pair might not even reach the 1.3100 MaPs before seeing some losses. 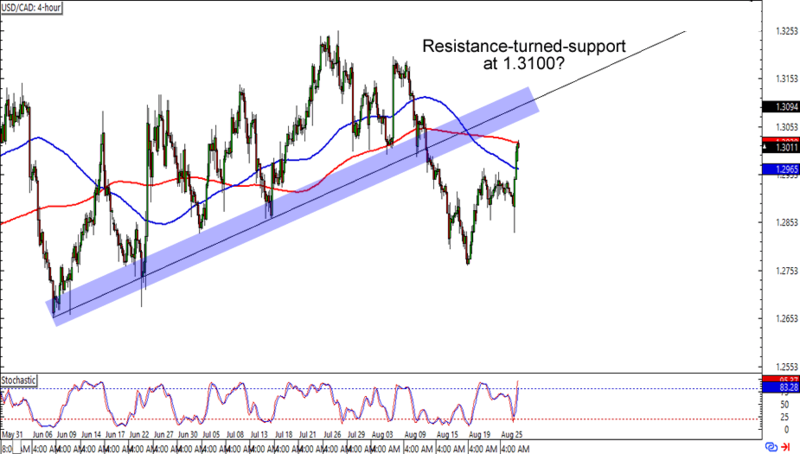 In any case, keep close tabs on this one and see if you can make pips from a resistance-turned-support scenario! Last one for this batch of charts is a descending triangle setup on AUD/JPY. 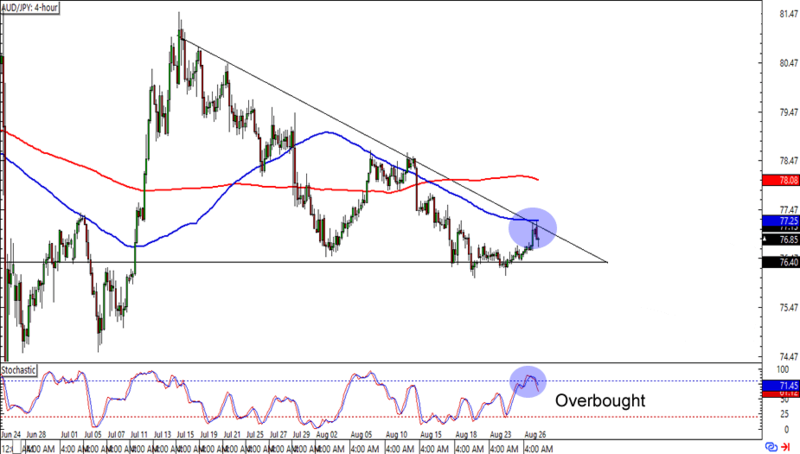 The pair is bouncing from the 76.85 area, which is near a falling trend line and 100 SMA resistance on the 4-hour chart. Not only that, but stochastic has also just bounced from the overbought territory. Will we see a breakout some time this week? Remember that not all triangles like this one break to the downside. Keep your eyes on a possible upside, too!